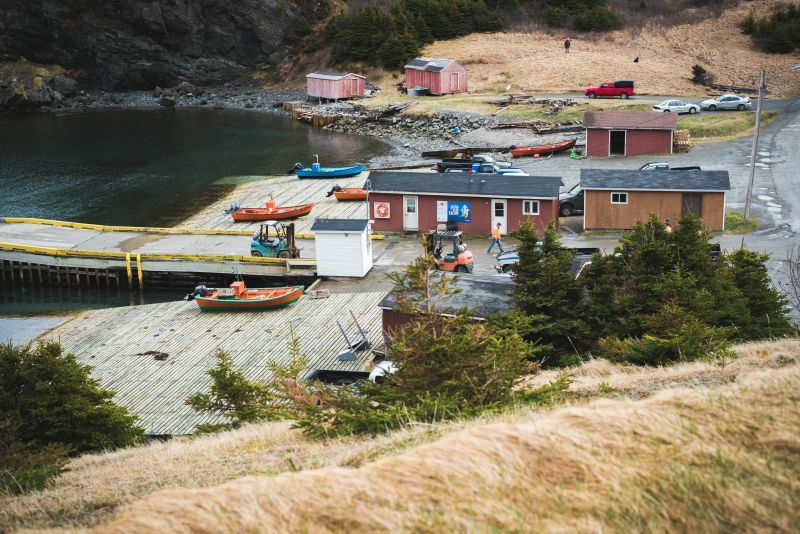 The next day we met Sam at his home in York Harbour, where he was just finishing supper with his son and fishing partner Sheldon when we arrived. 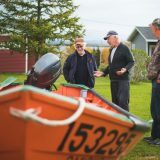 Despite a long day on the water and plans to head back out before sunrise, they warmly welcomed us for a chat about building and using their renowned dories. “I’ve been at it for… what? I’d say fifty years… Longer than that! 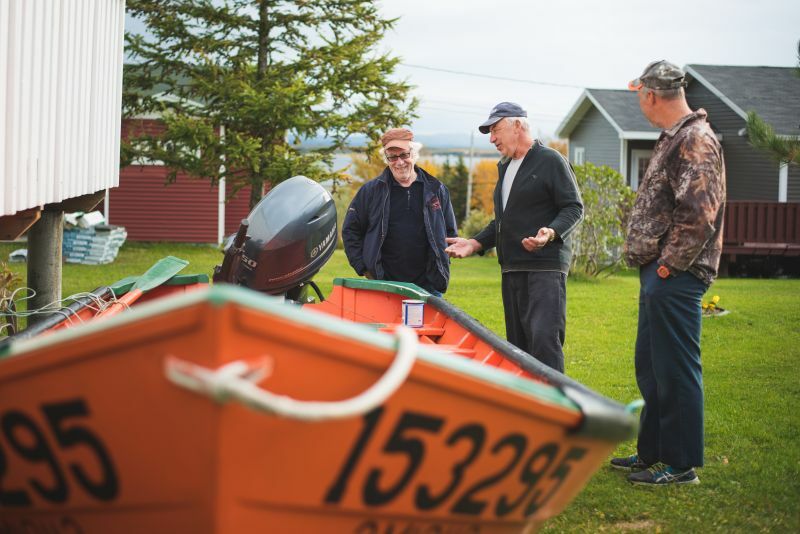 Fifty-five years.” Born in 1947, Sam Sheppard was fifteen when he started fishing in the Bay of Islands and has spent his life on the water harvesting cod, lobster and other groundfish. 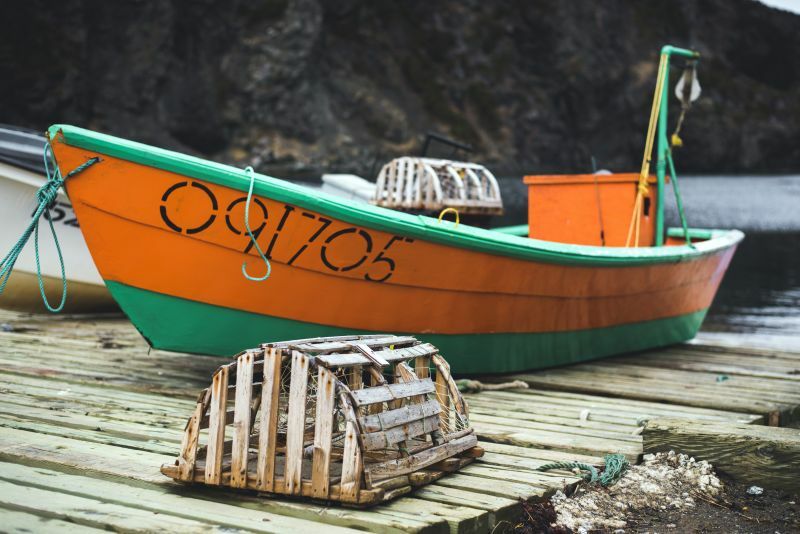 Lobster has become the mainstay for fish harvesters operating in the area and dories continue to be used alongside longliners to set and haul the traps. 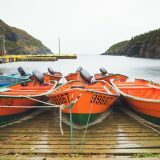 Together with his brother Paul, Sam crafts these specialized dories which are known the locals to have some of the highest quality dories around. Sam Sheppard and his son, Sheldon. 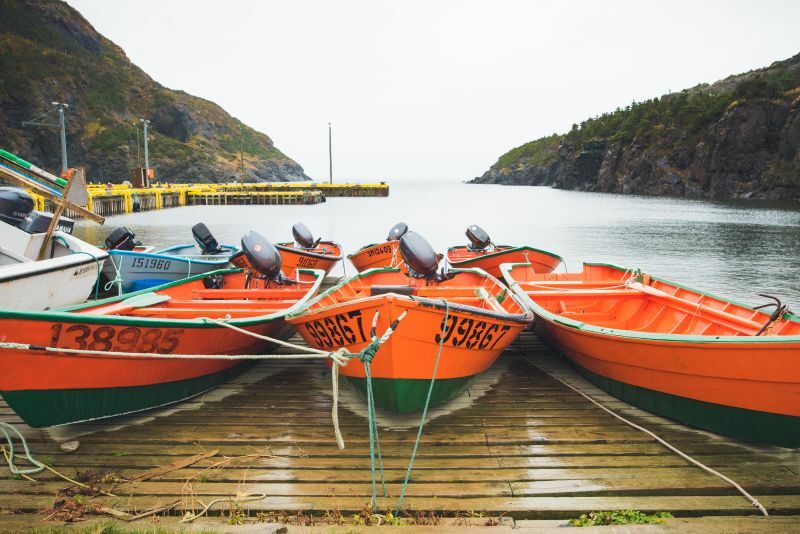 Lark Harbour dories were used for many years before Sam and Sheldon started fishing out of one. 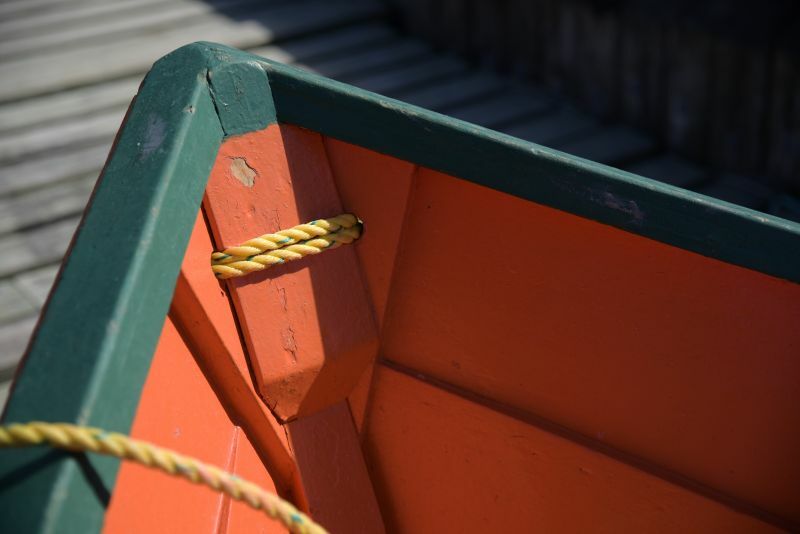 Sam can remember back to when his grandfather built and used his own dories. Why do you use a dory? 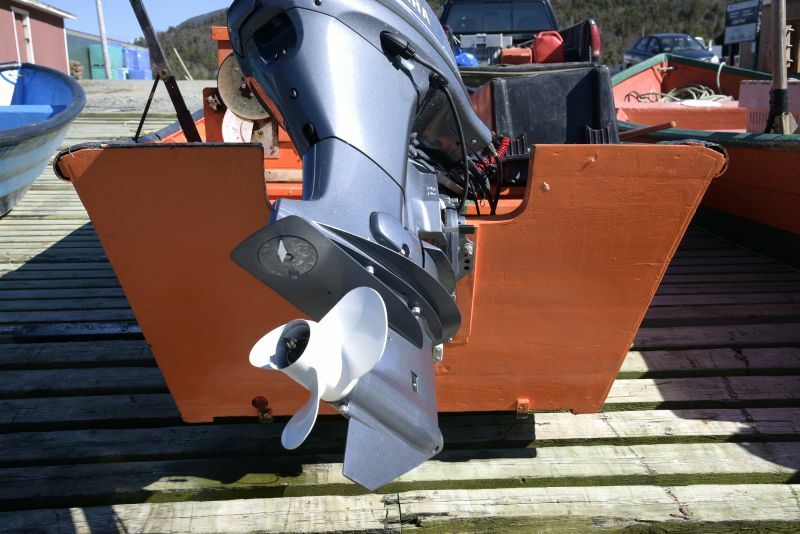 The Lark Harbour dory has seen significant modification over the years. 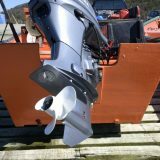 The boats have gotten bigger and wider, mainly to accommodate the larger outboard engines which are used today. “When we started building them, they was only about twenty-eight, thirty inches in the counters. Now mine out there is fifty [inches]” says Sam. The boat measures 19 feet in length and 7 feet wide at midship bend. The timbers are spaced about 17 inches apart, “enough for a fishpan to go down between them,” according to Paul who joined in on the conversation. 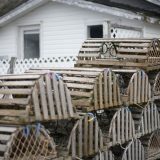 The lobster season opened this year on April 18th, but Sam delayed setting his pots until the 25th. “The first of May is plenty of time! The water’s too cold and the lobsters don’t trap. So all you does is bait the ground!” he joked. Knowing where to set the pots to ensure a catch takes specific skill, including knowledge of the species, geographical awareness and the ability to keep watchful eye to the weather. 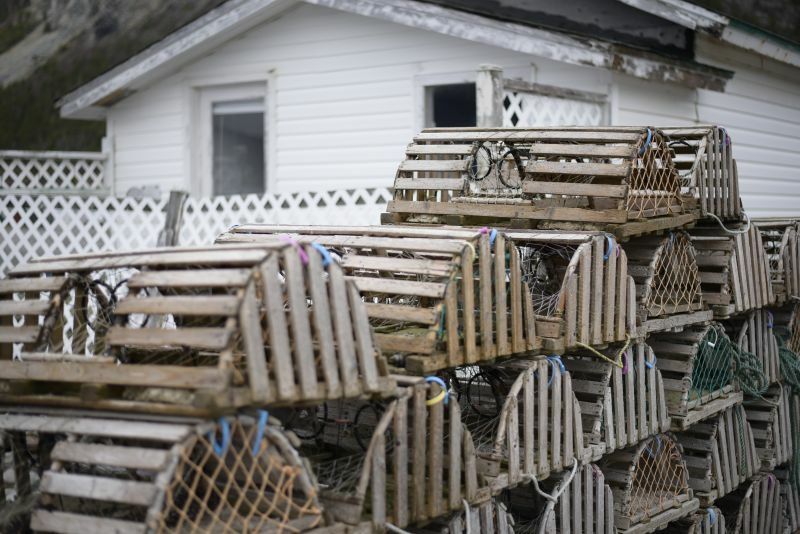 Sheldon mentioned that choosing where to set lobster traps is determined by the previous winter conditions, noting that with heavy ice conditions, pots are set in deeper water as the lobster stay offshore. Sam also pointed out that with south/south-westerly wind, the lobsters are more plentiful due to the warmer water temperatures. Generally, pots are set in deeper water at the beginning of the season and will be gradually moved to shallower water as it progresses. “You can’t go wrong in eight, ten, twelve fathoms of water!” Sam remarked. The trap itself was traditionally made out of wood which had a rounded top. Rocks or weights were added to the bottom to sink the trap to the ocean floor. Sam and Sheldon, like most fishermen, have moved on from the wooden traps to steel traps measuring 36” x 18” x 12”. 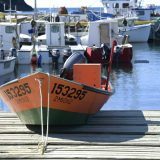 The bait is usually herring, mackerel, crab or sculpin. In a season, Sam will set 220 pots. He used to fish as many as 250, but fishing regulations have reduced the number. 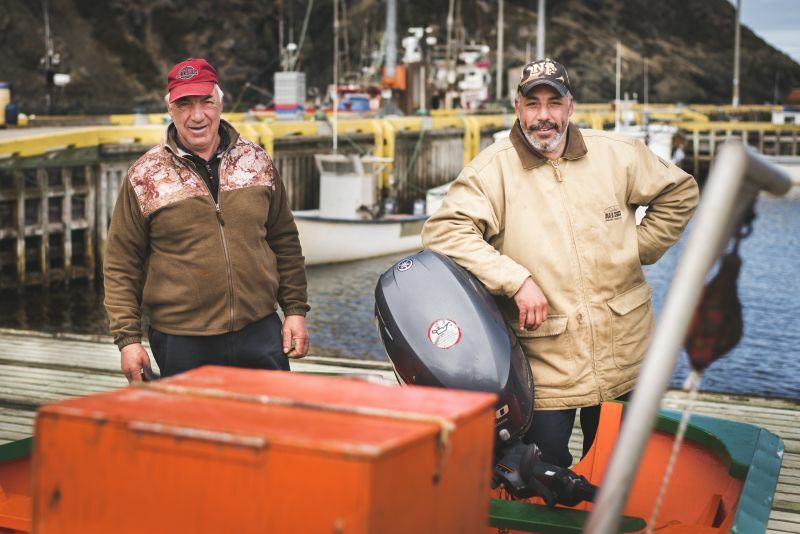 Every day during the season, they make the trip out of Little Port at 3:30AM and travel roughly twenty-two miles to reach their fishing gear. All 220 pots are hauled, checked, baited and reset. It can take anywhere from four to six hours to check and set the pots. “In dory, you haul 250 traps, you’re finished dinner time” Sam says. A daily catch is usually between 400-500 pounds, on average. 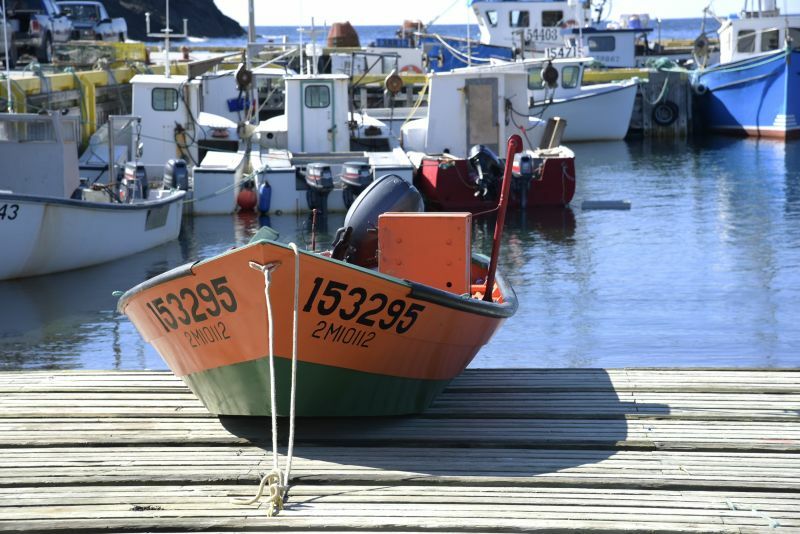 The season closes on July 5th, rounding out roughly two-and-a-half months of lobster fishing. I used to work on Bluenose 2 for the Olands. I was a summer student then. Am 71 now. Have an island on the “inland sea” of Georgian Bay Lake Huron. Would love to get a Dory for my morning constitutional. Is it possible? See above. 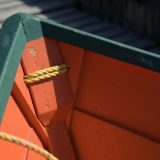 Would like to get a traditional dory for morning exercise .